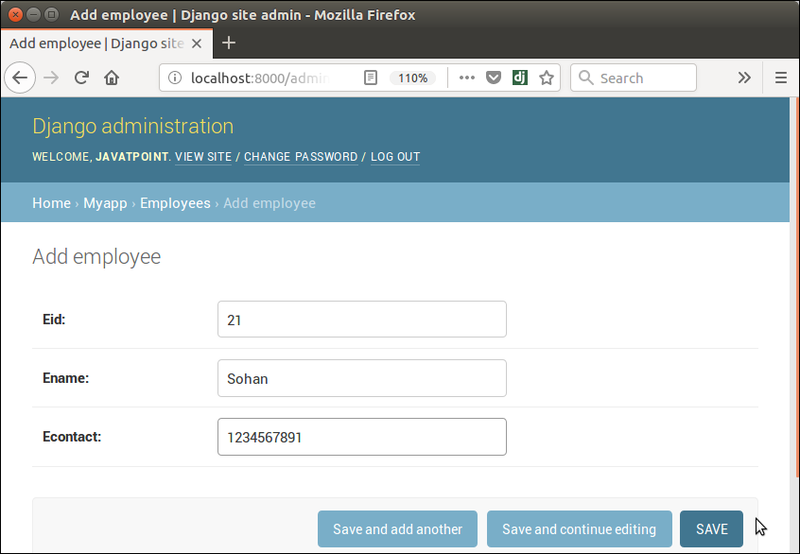 Django provides an admin site to allow CRUD (Create Read Update Delete) operations on registered app model. It is a built-in feature of Django that automatically generates interface for models. We can see the url entry for admin in urls.py file, it is implicit and generated while creating a new project. 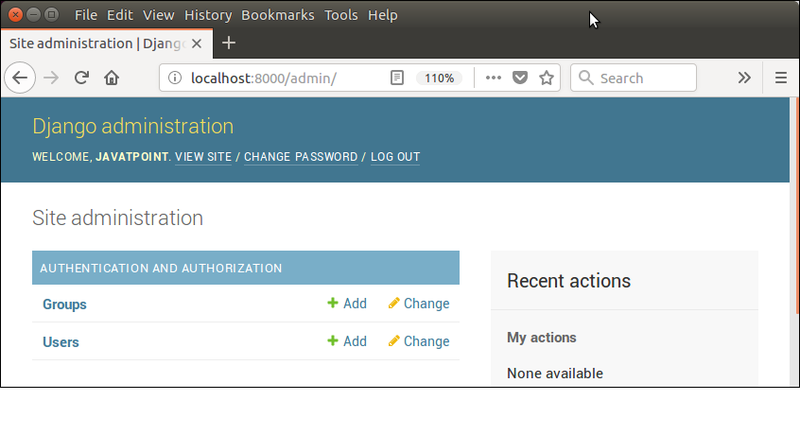 It can be easily accessed by after login from the admin panel, lets run the server python3 manage.py runserver and access it through the localhost:8000/admin. A login form will be displayed, see the below. Super user is created successfully, now login. It shows a home page after successfully login, see below. It is an admin dashboard that provides facilities like: creating groups and users. It also used to manage the models. To register model in admin.py file. Use the admin.site.register() method and pass the Model name. See the example. Login again and see, it has employee object. It provides auto generated interface to create new model object. Like, if i click on add, it renders a form with all the attributes provided in the model class. For example, our model class contains the following code. Lets add an employee by providing details and click on save button. After saving, record is stored into the database table, see the below MySQL table. Using this admin dashboard, we can update and delete record also.